Building Hope. Changing Lives. Connecting Communities. Since its founding in 1970, Reell's has been committed to serving the common good, striving to build hope in our world by changing lives for the better through both financial aid and service to our communities. Each year Reell gives 10% of its pre-tax profits to our local and global communities. When we are blessed with profits we will give back. 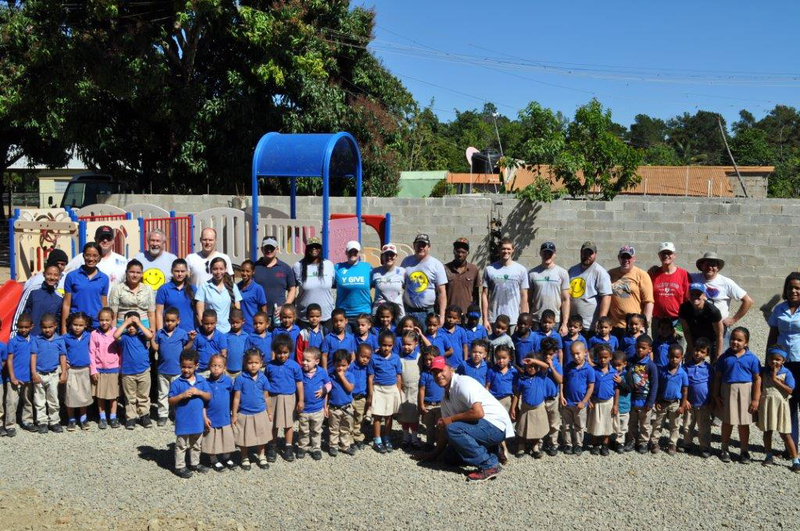 Reell also provides opportunities for Coworkers to serve in both the local and global communities. Through these efforts, we hope to build stronger relationships with both our communities and our fellow Coworkers. We will strive to bring our Coworkers together to serve our local and global communities, looking outside ourselves and recognizing the high value there is in serving the common good. We also believe that serving together fosters a deeper understanding, appreciation, and love for one another, enhancing our lives as well as providing service to others. Support for education that fosters growth and development. 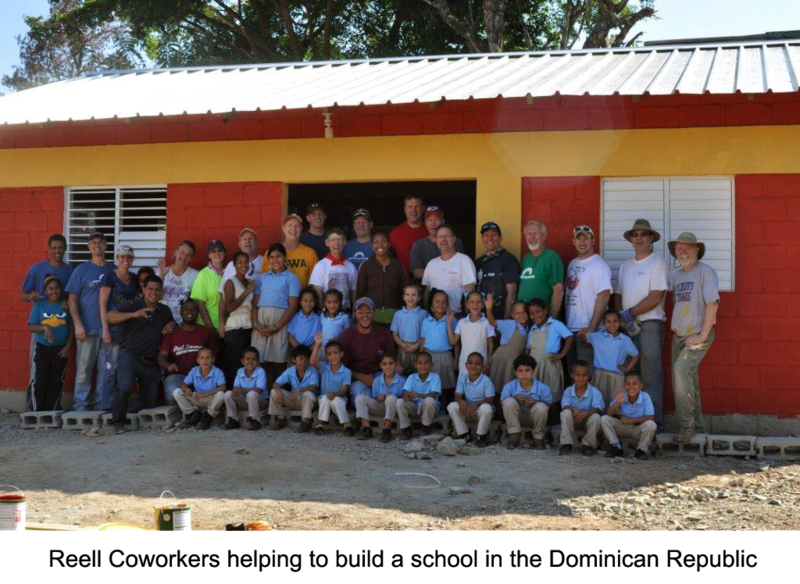 This includes Reell’s yearly service trip to support the school we are building in the village of El Callejon, Jarabacoa in the Dominican Republic. Meeting the essential needs of food, shelter and clothing for those in crisis. In order to grow and develop these needs must be met first. Helping to restore and heal people so they can further grow and develop to become all they are created to be. Coworkers share some of their Community Involvement experiences at Reell.